The amazing Taxi Driver not only is getting a re-release but you can see the film from a 4K digital restoration scanned from the original camera negative. If the, below, trailer is anything to go by it will be the best version of the film ever released. Not only do we have the amazing trailer but a great gallery of images. Robert De Niro punches in for another shift as Travis Bickle, the insomniac Vietnam veteran struggling to navigate New York’s streets of vice in Martin Scorsese’s searing, seething state of the nation address. 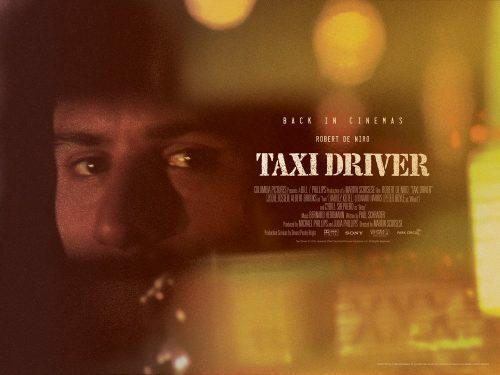 Fearlessly exploring fraught urban and psychological landscapes through Paul Schrader’s pitch black script, Michael Chapman’s expressive nocturnal cinematography and Bernard Herrmann’s memorable, menacing score, Taxi Driver possesses a still-striking modernity that marks it out as one of American cinema’s greatest achievements.